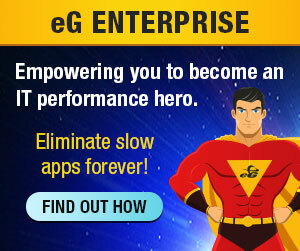 iPhone/iPad users can now access App Store to download the eG Mobile App and use it to monitor, detect, and resolve performance issues on the go. Whether your infrastructure comprises of VMware vSphere servers, Citrix servers, Oracle database servers, or Java applications, you can now receive push notifications of problems related to your infrastructure, zoom into the exact layer where the problem occurred, investigate the problem using historical graphs and detailed diagnostics, and isolate the root-cause of the problems at the click of a button. 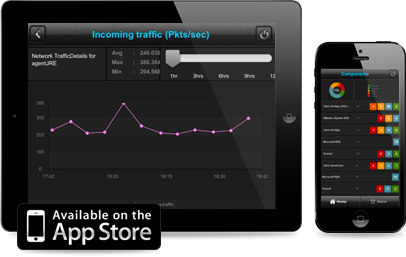 Access App store on any iPhone/iPad. Once eGMonitor is found, click Install to download the app to the mobile phone. Once the app downloads successfully, click Open to launch the app. When prompted for a Manager URL, specify the URL of the eG manager to connect to. Finally, login to the eG management console as any monitor user registered with that eG manager. Feel free to use the app and revert to feedback@eginnovations.com with your valuable feedback.